Hmmm? 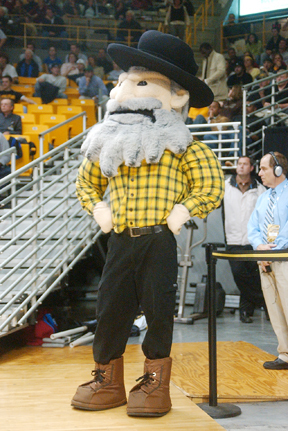 Yosef, the mascot for App State, must have been working out extra hard between Saturday's football game and Monday night's basketball game. I mean, check him out. Yosef lost the pudge and gained some muscles. 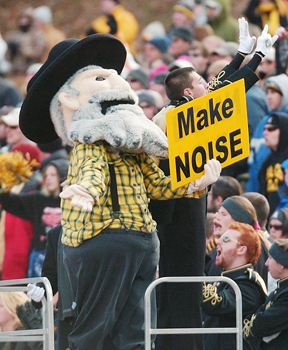 I'll take the Yosef on the right, please. And, I added a new photo album (on my sidebar) of the Saturday playoff football game against James Madison that we somehow managed to win. The album includes images of a gutless wannabe streaker in case you are interested.